Annual presentation for the Alaska Bat Monitoring Program. Discover what has been learned from this citizen science based project, which utilizes acoustic bat detectors and surveys driven by community volunteers to research and monitor bat populations across the region. Training for those interested in contributing to the program will be provided. Brought to you by the Marine Advisory Program, Petersburg Marine Mammal Center and the Petersburg Public Library. 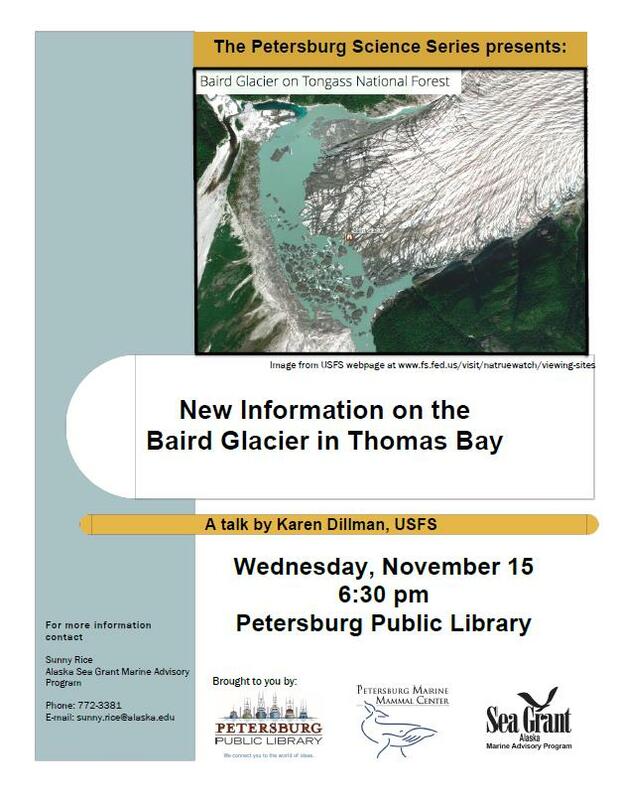 A presentation by Karen Dillman, USFS. Science Series - Squid: Visitors or Invaders? Join us Tuesday August 29 for talk by Stephanie Hayes, UAF and University of Osaka, Japan. The Petersburg Science Series is sponsored by Sea Grant Alaska Marine Advisory Program, Petersburg Marine Mammal Center, and the Petersburg Public Library.